Early July 2017, clinicPesa – an IIDEA supported Project – was selected as one of the 500 top Start-Ups in the World. 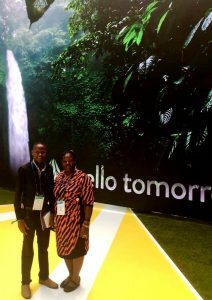 The Ugandan Start-Up creativeDNA with their project clinicPesa was invited to participate in the Hello Tomorrow Summit in Le Centquatre Paris, France that took place from 25th to 27th October 2017. Hello Tomorrow being a big event in Paris, brought together Start-ups, Donors and Investors from all over the world. clinicPesa was the only project nominated from the East African region, having the opportunity to represent East Africa with the special focus on regional integration of the EAC. The summit provided a great platform for clinicPesa to learn about innovations from different eco systems, to network across continents and to share the success stories of revolutionary ventures in East Africa on infrastructural eco system like M-Pesa. This also came with the chance to convince potential investors of the project and of investing in the EAC in general. 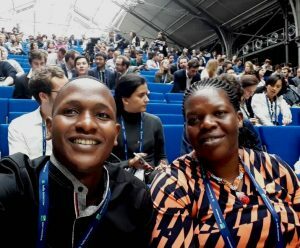 Although clinicPesa did not make it to the final round, in its category “health and FinTech”, it managed to entice a few investors to come and invest in East Africa. Apart successful and promising meetings with potential investors, clinicPesa also managed to get an insight into innovation venture pitching. IIDEA has reached out to the Hello Tomorrow Summit organizers to leverage on the opportunities provided by their platform for future IIDEA projects/incubates showcasing their projects in order to lobby for investors.